Ukrainian pilot, MP Nadiya Savchenko requested that prison management provide her with a copy of the decision to institute a new criminal case against her. According to the statement, which was made public by Savchenko’s lawyer Mark Feygin, his client was acquainted with the resolution, but a copy is needed to protect her. “I filled out in the receipt that I had been notified (about the opening of new proceedings – Ed. 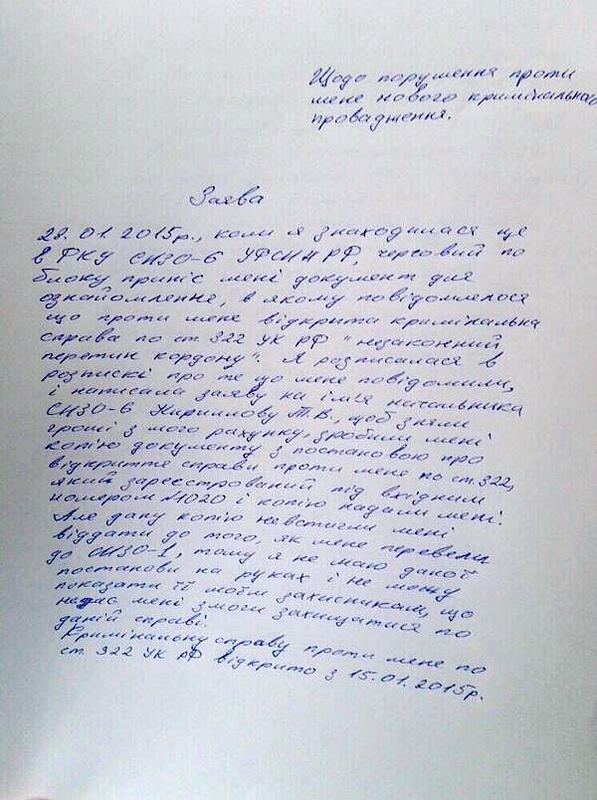 ), and wrote a statement addressed to the governor of SIZO-6 [detention center] T. V. Kirillov, to withdraw money from my account, I have a copy” – it states in Nadiya Savchenko’s statement. But, in her words, she never received the copies. The second criminal case, opened against Nadiya Savchenko earlier this month, relates to her alleged illegal border crossing, though the pilot’s own lawyers have repeatedly stated that she was kidnapped from Ukraine and taken into Russia. In addition, in Russia Nadiya Savchenko was accused of involvement in the death of Russian journalists. The pilot herself rejects all charges against her. During the January 26 session of the Parliamentary Assembly of the Council of Europe (PACE), Nadiya Savchenko received diplomatic immunity as a deputy of Ukraine – a member of PACE. But Russia has refused to dismiss Savchenko from its Moscow jail. Savchenko continues her hunger strike started in mid-December 2014 [Ed: today marks the 49th day of her hunger strike protest]. 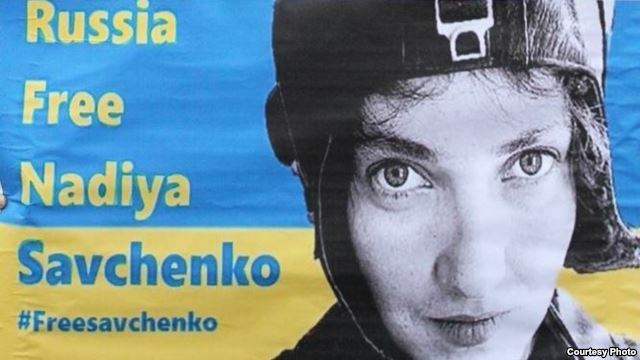 This entry was posted in "Voices" in English, #Free Savchenko, English, English News, Pictures, War in Donbas and tagged #FreeSavchenko, #Nadiya Savchenko, #RussiaInvadedUkraine, #SaveSavchenko, #StopRussianAggression, #UkraineUnderAttack, Ukraine. Bookmark the permalink.